I’ve committed to reading a business, motivational, inspirational or financial book every day. Well, you know what I mean, I’m reading in that book every day. It’s uplifting and inspires me to be better, do better and try harder… oh, and stop procrastinating too. Good stuff!!! OK, so he became successful. I think the greatest part or most significant part was his overcoming his fears… fear of failure, fear of the unknown, fear of successful people, fear of relationships, fear of success, fear of becoming, fear of reality, fear of happiness, fear of loneliness, etc. So many fears… do any sound familiar. He writes about his fears and the series of consequences to his actions that cause his downward spiral to failure and a kind, successful man who gives him an opportunity to change. This is quite fortuitous as he could have chosen so many ways to fail even at this very beginning… but, he made some good choices (against his nature at the time) that got him to a position of being helped by a total stranger. Taking the help he began a journey of discovery. Discovery of his fears but also a discovery of the fears of other ordinary people who rose above their fears to become some of the most prestigious and successful people of this nation. He outlines his desire to his now mentor to research their success and find out how they become successful. He finally comes to define a goal. By other successful people seeing his drive and desire to accomplish his goal, he is helped along the way by more and more successful people. Near the end of the journey as he stalls out and can’t get a publisher to publish the book, (hey, it’s his first book and it was a mess) he is helped again by another successful lady who is great at editing and finding resources. They fix the book, find the right publisher, everything falls into place and with literally hundreds of peoples help, he gets the book published. It didn’t come cheap, either in time, determination, money or commitment… but it came. I have come to realize, as I have read book after book and story after story of successful people and successful businesses that it takes a major paradigm shift in thought, belief, faith, hope, goals, determination and commitment to make a big thing happen. Hey, little things are just that… little. What about the making something big happen… change the world, change an industry. Some people come to mind… Steve Jobs, Alexander Bell, Henry Ford, etc. The book is full of great men and women who have changed the course of history with their determination and vision for something big and different and it made them successful and wealthy. 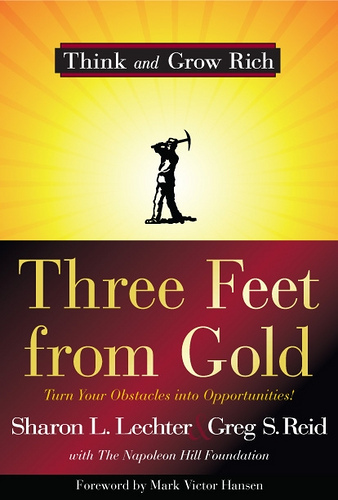 I highly recommend this book for anyone who is trying to overcome fears… yup, that’s you. And for those who want to read about other successful people who have overcome their fears to be successful. Do it! It’s a great read. We are the reason this earth exists and the top of the food chain and we are humans because we can think, reason and make choice. We have to live with our choice and there becomes the human dilemma. Which choice to make that is right… not just right for me, but what is truly right? We make choices every day… make sure they are the right choice… listen for the inspiration… that feeling in the gut or the little voice in your head that is telling you what to do… because it’s the right choice. God bless you to do the right thing and make a big splash in this life. Have an awesome new day!! !